Фильмография Ивана Ноэля / Filmography of Iván Noel. Вы здесь » Rare Films. » Все фильмы Ивана Ноэля. » Фильмография Ивана Ноэля / Filmography of Iván Noel. В твоё отсутствие / En tu ausencia. 2008. Cast: Francisco Alfonsin, Pedro Salido Saborido, Gonzalo Sánchez Salas, Anabel Azuar, Ana Tutor, Antonio J. Atienza Sánchez, Acensio Salas Suárez, Jesús Gllardo Soto, Paola Pablo Nogales Doña, Erico Ramos Fernández, Cristina González Benítez. Разрыв / Брешь / Brecha. 2009. Brecha is a particularly vivid and realistic portrayal of the emotional rupture between a father recently released from jail and his 12 year old son, following a dark family tragedy that no one has strength enough to confront. Herself victim of the same in-communication, the boys grandmother tries her level best at normalizing their lives. However, not counting on the fathers incapacity at forgetting the past, and his sons increasingly peculiar behaviour. All three of them awkwardly attempt to plug the rift, only to worsen the situation with every try, leading them slowly to the brink of a new and permanent - disaster. Director: Иван Ноэль / Iván Noel. Cast: Francisco Alfonsin, José Ramón Lafita, Lola Mendoza, Maica Sanchez, Benito Cordero, Carmen Caro Quinones, Manuel Pazos, Victoria Romero de Torre, Asencio Salas. Начальная школа / Primaria! 2010. Псевдодокументальный фильм от аргентинца Ивана Ноэля об университетском преподавателе Хосе Мария, который пошёл работать обычным учителем рисования в начальную школу. На первых порах хаос кажется неминуем, но со временем дети и новоиспеченный учитель многому учатся друг у друга. 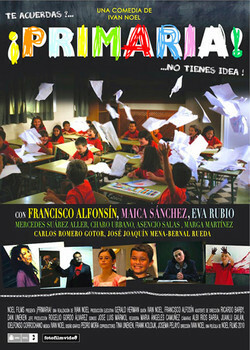 Cast: Francisco Alfonsin, Maica Sanchez Caballero, Eva Rubio, Mercedes Suarez Aller, Marga Martinez, Jose Joaquin Mena, Eva Rubio, Asencio Salas. Особо впечатлительным особам, беременным и неадекватным просмотр фильма не рекомендован. ES. Gabriel vive junto a sus padres en un antiguo monasterio convertido en museo. Las tensas relaciones entre Gregorio y Sofía, debido a un pasado que ocultan, conllevan al intempestivo suicidio de la madre afectando la estabilidad emocional del chico. En su inquietante duelo, Gabriel iniciará una serie de acciones buenas, con la idea de acercarse a la imagen de ella, mientras se devela el pasado oscuro de la familia. EN. 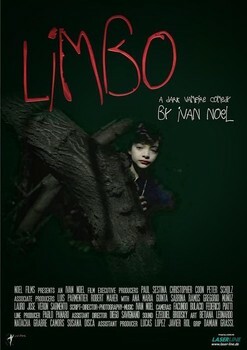 A visual incursion into the troubles psyche of a young boy whose unstable and manipulative mother committed suicide in front of him. 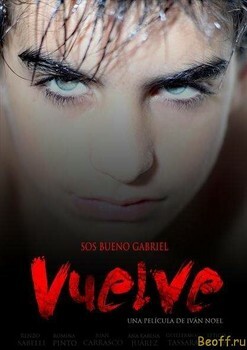 Vuelve follows the mental turmoil of a boy, Gabriel, dealing with the sudden and explicit suicide of his unstable mother, to whom he was symbiotically attached. One day she appears before him, and promises that God will give her a new lease of life if he acts out ‘good’ deeds on earth. Starting with seemingly innocuous acts and progressing in both intensity and malice, the boy follows the orders from his mother’s apparition. His compulsive desire to have her back drives the cruelty of his acts to an extent beyond what anyone thought possible. Cast: Juan Carrasco, Romina Pinto, Renzo Sabelli, Guillermo Tassara, Leticia Vota, Rodrigo López, Dardo Leal, Ana Juárez. Они возвращаются / Ellos Volvieron / They Returned. 2015. 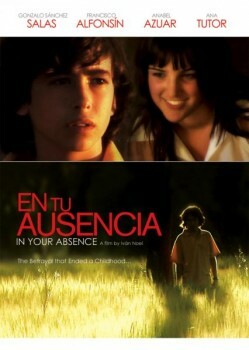 Ellos Volvieron (aka They Returned) is a beautifully touching and unnerving story about the unexplained disappearance of three children, two boys and one girl, and their reappearance three days later in a semi-autistic state. Not even the children themselves are able to help anyone understand what happened. No clues or signs are left, other than the fact that, as we discover later, two of them were mutilated. As the police carry out their investigation, and the town slowly sinks into a deep state of suspiciousness, small community of children - classroom colleagues of the missing three - run their own parallel search. Cast: Valentina Sartorelli, Juan Ignacio Molina, Lauro Veron, Camila Cruz, Julio Mendez, Rosana Rossotti, German de Goycoechea, Edmee Aran, Romina Pinto, Jorge Booth. Воспитатель / La Tutora / The Tutor / Burnt Knees. 2016. PT. Mona consegue seu primeiro emprego de tutoria de duas crianças órfãs que vivem em uma casa abandonada no norte do país. Sua obsessão com a tentativa de educar estas duas crianças quase selvagens a deixa cega para o fato de que eles têm outros planos para ela. EN. Mona picks up her first job tutoring two orphaned children living in a derelict house in the country. Her obsession with trying to educate these two nearly feral children blind her to the fact they have other plans for her. Director: Iván Noel / Иван Ноэль. Nueve Comidas Lejos Del Caos / Nine Meals From Chaos. 2017. Новый фильм известного аргентинского мастера независимого некоммерческого кино Ивана Ноэля. На сей раз некий постапокалиптический трип навеянный "Повелителем мух". ES. Ocho años después de un cataclismo, la raza humana, de la que sólo ha sobrevivido una de cada diez personas, ha perdido todas sus estructuras sociales. Nuevo proyecto de Iván Noel, parcialmente inspirado en "El señor de las moscas". EN. What really happens after war or disease eventually wipes out most of humanity? Leaving aside fables of mass zombie invasion, or vigilante groups magically armed with assault weapons: how would humans actually re-group? How would they act when attempting to survive? How indeed would human morality and modern taboos fare in this probable scenario? This daring film will attempt to answer this as realistically as possible, making films like 'Lord of the Flies' look like a family camping trip. Two groups inhabit the desolate and abandoned land: packs of orphaned children in a feral state, living a nomadic life-style for their safety, and adults (with their offspring), barely surviving any better by living off their meat. It is a war only the most desperate of the two will win. Nueve Comidas Lejos Del Caos / Nine Meals From Chaos. Behind The Scenes. Документальный фильм о съёмках нового фильма Ивана Ноэля Nine Meals From Chaos состоящий из частей Newsletter No.1, 2, 3, 4 и 5. Много красивых натурных съёмок, общение режиссёра с актёрами и командой. Так же присутствует тизер к фильму. 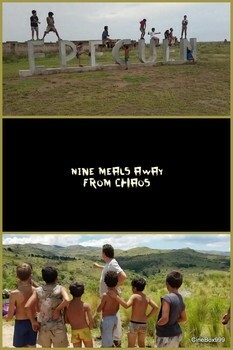 A documentary "Behind The Scenes" about the shooting of the new film by Iván Noel "Nine Meals From Chaos". A lot of beautiful natural filming, the director's communication with the actors and the team. Also there is the teaser for the film. 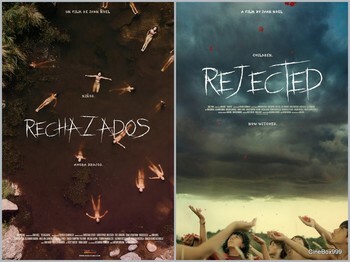 Rechazados / Rejected. 2019. 4K Teaser and Trailer. In a future medieval world, after the collapse of our civilization, man has repeated all the same mistakes again, and installed a new system of law based on false science and superstitious beliefs. Worst of all their deviances now, is anyone who dares to consume or even touch the sweet-tasting 'Chisa' flower. Once caught, they are permanently banished from the village, and made to live a life of solitude and poverty. Most prone to this deviance are children - known by elders as 'vessels for evil' - since their natural curiosity makes them prey to temptation. Yet these rejected children, left to their own devices, free and as wild as the wind, are discovering the true power of this plant and its teachings. Its sap contain what most adult fear: a vision of the truth. They have learned so much that some villagers even accuse these children of witchcraft. Cast: Thiago Stampone, Ismael Stampone, Oscar Mira, Cristian Cavo, Oscar Molinari. Nine Meals From Chaos / Nueve Comidas Lejos Del Caos. 2018. HD. Cast: Tatiana Gonzales Bozzetto, Joaquin Brizuela, Oscar Mira, Zoe Osan, Emanuel Renzini, Rosana Rossotti, Ismael Stampone, Thiago Stampone. Rejected / Rechazados. 2019. Behind The Scenes. Документальный фильм о съёмках нового фильма Ивана Ноэля Rejected (Rechazados) состоящий из частей Newsletter No.1, 2 и 3. Много красивых натурных съёмок, общение режиссёра с актёрами и командой. 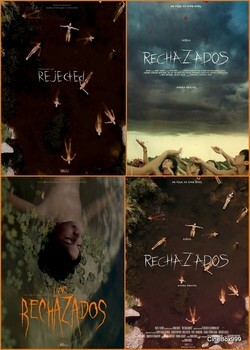 A documentary "Behind The Scenes" about the shooting of the new film by Iván Noel "Rejected" aka Rechazados. A lot of beautiful natural filming, the director's communication with the actors and the team. Новый фильм от крайне независимого аргентинского режиссёра Ивана Ноэля "Отверженные", социальная фантастическая драма о том как нами же придуманные правила и законы убивают нас самих. ES. En un futuro medieval, después de que nuestra civilización haya colapsado, el Hombre vuelve a cometer los errores del pasado al implantar un sistema de leyes basado en mentiras y en la religión. Una de las normas más importantes que imponen los nuevos líderes en la prohibición de consumir una flor denominada "Chisa", especialmente dulce. Cualquiera que incumpla esta norma se ve abocado a una vida de soledad y miseria. Los niños, mal vistos por la nueva sociedad, son los que más problemas tienen para evitar caer en la tentación, por la curiosidad natural que les caracteriza. EN. In a future medieval world, after the collapse of our civilization, man has repeated all the same mistakes again, and installed a new system of law based on false science and superstitious beliefs. Worst of all their deviances now, is anyone who dares to consume or even touch the sweet-tasting 'Chisa' flower. Once caught, they are permanently banished from the village, and made to live a life of solitude and poverty. Most prone to this deviance are children - known by elders as 'vessels for evil' - since their natural curiosity makes them prey to temptation. Yet these rejected children, left to their own devices, free and as wild as the wind, are discovering the true power of this plant and its teachings. Its sap contain what most adult fear: a vision of the truth. They have learned so much that some villagers even accuse these children of witchcraft. Cast: Thiago Stampone, Ismael Stampone, Cristian Cavo, Oscar Mira, Oscar Molinari. Rejected / Rechazados. 2019. HD.